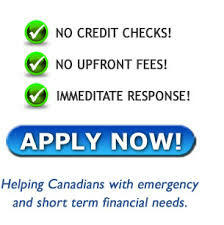 Short term loans allow individuals to gain a significant amount of money, almost immediately. They can be a great option for those in need of a quick cash injection, but it must also be remembered that each loan comes with its own interest level and conditions, some of which can be financially steep. There are many lenders out there, offering a wide range of differing loan types, but it helps if you know exactly what each short term loan provides, and what is required of both lender and debtor: Only then can you make an educated decision on whether to apply for one or not. Payday Loans: In recent years payday loans have become increasingly popular, but they have also come under scrutiny by policy makers. This is due mainly to the high percentage of interest attached to each payment. A payday loan allows a debtor to borrow money against their next wage. The loan is granted quickly with the debtor having to repay it within a short window, normally with their next monthly pay packet. The form of the repayment is normally agreed before the loan is given, with the debtor either committing to a direct debit or signed check which will be cashed on the date of their next wage. Payday loans often come at a premium price, with interest on each loan ranging anywhere from 300 to 500%. This is obviously a huge amount, and so must be taken into consideration seriously when applying for a payday loan. 3 Month Payday Loans: This is a new type of loan which has been implemented in the face of continuing bad press for standard 1 month payday loans. The same process applies, but in this case payments are either broken up across a debtor’s three subsequent monthly wages, or required in full at the end of a 3 month period. Large interest rates still apply, but this can be more manageable for some. Bridging Loans: A bridging loan can be acquired from some lenders when finances are required in the short term. It is essentially a loan given to cover a debtor financially while between two transactions – i.e. between buying a house and selling a house for example. 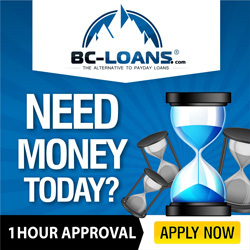 Many of these loans can be for extremely short periods, but can also be taken out over a longer duration, most commonly from 2 weeks up to 3 years. The debt is usually paid when the new financing is secured, such as the final sale of a property. The shorter the bridge loan, normally the larger the interest, so this should be taken into account. Logbook Loans: These are secured loans against an owned vehicle. A debtor can apply for significantly more money through such a scheme than is available via a payday loan. As the loan is secured, if a debtor does not make payments on time their vehicle could be seized by the lender. Logbook loans can range in timescale from 2 years down to as little as one day. As the loan is secured, a debtor need not undergo a credit check, however, the interest will be high with most lenders offering between 400% and 500% in interest. Pawnbrokers: With the advent of the internet, pawnbrokers are not just on the high street but online as well, making them even more accessible. A pawnbroker will provide a loan to a debtor in return for a personal possession for an agreed price. If the loan is not repaid, then the personal possession is kept by the lender and sold for a profit. Pawnbrokers tend to offer only short term loans from 2 weeks to 2 months in duration – although some exceptions can be found. As the loan is secured, no credit check is required, and interest rates normally vary between 5-25%. The low interest rates make pawnbrokers a viable option for some, but it must always be remembered that a debtor has to hand over the agreed personal possession before the loan is granted, and usually for a much smaller amount than what it is actually worth. The Reliability of the Lender: Are they a legitimate lending business? What Are the Terms and Conditions? : How much will you have to pay? When will you need to pay off the debt? Are there any hidden charges? What is the penalty for late payment? Can You Afford it? : It’s the easiest thing in the world to apply for a short term loan, but it is imperative that each potential debtor is realistic about the debt payments.